Having talked about face care of the natural origin in my previous post, I couldn’t leave out body and hair out, could I?! When it comes to our skin, our biggest organ, making the choice to introduce organic or natural skincare is not a bad idea, but to make things less daunting start with your body – it can be a body lotion, shower gel or deodorant and then build on it. In this post I will tell you about a hair oil from the latest Beauty Heroes Box, natural deodorant that in some ways truly rivals the one from Aurelia and a trio of body oils that were only officially launched this week, so I will only tell you about them briefly, with a bigger post to follow. So, now, let’s begin. Haircare is a big business, but having had my hair issues in the past, I am quite picky about my shampoos, conditioners and masks. I don’t use a fan often and with dead straight hair, you will never see me with straighteners or ruling irons in hand. There are brands that I trust and whose products look after my hair and skull – some are natural, others not. In my case, to find a balance isn’t easy, as I tend to get some oiliness on my scalp, hence the need to wash it fairly often, unless I am prepared to wear a hat while out in public, while my actual hair tends to be on the slightly dry side. With that in mind, hair oils, even though I love them and sincerely envy Middle-Eastern women with their lustrous long and glossy locks, I know that using hair oil on my own hair makes me look like I need to wash my hair as soon as my hair has dried up. Luckily, my September Beauty Heroes subscription box arrived, while I was sunning myself on the beach, so I was ready to kiss Jeannie Jarnot, company’s founder, as it felt like she thought of me personally, wanting to address the issues with my hair that accompanied my daily, long sea swims and sunning myself on the beach. I came back happy, but with my hair feeling a little bit like straw, as I love leaving my hair dry up naturally after swimming in the sea and only wash them out every night. The result? Glorious mess and somewhat dry mane. Uma’s Intensely Nourishing Hair Oil captures an ancient Indian beauty ritual in a glass bottle. When I opened it for the first time, I experienced the sense of rupture, which only magnified my feelings when I applied the oil to the hair and left it till the evening. This oil is based on the founder Shrankhla Holocek‘s secret Ayurvedic family recipe that is handed from one generation to another and in the moment in time, there are only under ten people who actually know it. What the oil promises is to treat dull, damaged, frizzy hair ( sun, heat, rough brushing etc. ), while balancing the naturally occurring oils of the scalp. This area of our body doesn’t often see the light of the day and is not the one we tend to pamper, yet it is such an important part of us. Until my recent experiments with natural deodorants ( thank you Aurelia for changing my point of view on what a natural deodorant can and should look, feel and smell like ), I wouldn’t have said that I lavished extra attention on my armpits, but since my switch this summer I have to say that my pits look way better than before, because I think the skin there actually feels truly nurtured for the first time. Since mid-summer I have been testing the Clean Deodorant Balm ( the one in lemon & geranium is my personal favourite & its scent appealed to my nose when I was making a selection before the purchase ) from the British brand called The Natural Deodorant Co. The Natural Deodorant Co. is run by the loveliest Laurie, who has a beaming smile that makes you want to smile back at her straight away. Our initial conversation in person overspilled into e-mail and DM exchanges during the summer, through which Laurie introduced me to her product formulas & guided me as a customer. Her own transition started in 2006, when she made a conscious switch to organic food and an interest in natural, organic beauty was a logical extension to that. – Clean Deo Balm is great for daily use. It is creamy and smooth on application, as it contains less sodium bicarbonate. In terms of the smell, you have three options: lemon & geranium, vanilla & manuka, lavender & chamomile. I am truly in love with this deodorant – it doesn’t melt or leak, which is important for me, as I travel; it is effective and I don’t have to re-apply it during the day, unless I do a HIIT workout. It nurtures the skin and feels lovely when you apply it, which isn’t always the case with many natural deodorants. You need to take some of it from the jar, warm it up on your fingers for a few seconds and then spread it around your armpits. What you do notice is how different its texture is from main stream deodorants. Considering that our skin absorbs what we apply to it and their proximity to our breasts, I think a deodorant is one of those products that has a significant potential to affect our long-term health, so choosing a natural or organic one is something that I would strongly recommend, for women of any age. Yes, natural deodorants cost more than the ones that you see in the pharmacies or supermarkets, but I think this is definitely the case when paying more is worth it. That is of course my own opinion but I wanted to flag this up for your attention. – Gentle Deodorant Cream ( was developed with sensitive skin in mind. The formula is gentle but rich, due to the inclusion of magnesium and clay. It comes in Tangerine, Vanilla & Manuka, Coconut & Shea. You only need a small amount of it and Laurie told me that it is gentle enough to be applied post-shave ). – Active Deodorant Balm: was developed for physically demanding days. Has light, slightly grainy texture, due to the bicarbonate of soda, but does sink into the skin quite quickly. It proved to be enduring in my testing and rose to the challenge of making sure I smelled good, when exerting myself working out. (You can choose from Orange & Bergamot, Lemon & Geranium, Coriander & Lime ). It does go somewhat liquid when the weather is hot, but when placed in the fridge it solidifies and it feels quite pleasurable to open the jar, melt it a little, with the heat from your fingers, and then apply it. My choice in this section goes to Orange & Bergamot. There are some additional points I wanted to raise here. One is that sometimes, when I wear silk tops, I do notice not slight staining exactly, but clean residue on the inside of the sleeves. It washes out easily and doesn’t affect the quality of the garment. Having said that, I notice it with Clean Deodorant balm and it might be down to the magnesium oxide & coconut oil, so you might prefer to go for Active Deodorant Balm. Another point is that some of the products, when it is hot outside, sort of melt in the pot, unless you keep them in the fridge – it doesn’t happen to the Clean Deodorant Balm, but definitely to Active deodorant Balm. Now, some people prefer to have it in liquid form, said Laurie to me, based on her customers feedback, but I do prefer my doe solid-is. If you live in London, The Natural Deodorant Co. can be found at all three Triyoga Studios (Soho/Camden/Chelsea) and Glasshouse Salon in Hackney also carries a small selection – that is, if you want to try the deodorants before purchase. Otherwise, you can order them directly by clicking here If you want to get a 10% off your first order ( plus free p & p on orders over £30 ), subscribe to their newsletter. The new Body Oil Collection ( Sicilian Rose, Nordic White & Chinois Blue ) is an aromatic trio of organic body care that celebrates the scent, colour and culture of Europe. For example, ‘Nordic White’ was dreamt up by Elijah as he was walking in Stockholm, while visiting press and stockists there, ‘Sicilian Rose’ was inspired by an elusive lemon scented rose from the island of Sicily and ‘Chinois Blue’ was born out of Elijah’s dream and in some ways turned out to be the most complex in its creation. I plan to meet up with Elijah soon to talk about the creation of each of the oils and its intricacies. So while a more detailed review is in the works, I thoughts I would mention it to you that I was taken aback and very surprised by those oils, even though I am a long-standing fan of Bodhi & Birch. Those oils are very sophisticated in how they ‘feel’ on the skin and I have been known to apply one to my left hand, another on the right and walk around, sniffing my hands during the day. What continues to surprise me, is how the scents evolve and changed with the ‘help’ of my own hormones and body heat, slowly revealing deeper stories and affecting your emotional state of mind. Elijah had my unrivalled attention with ‘Nordic White’ simply because the name appealed to my love of Scandinavian countries and way of living, but ‘Sicilian Rose’ blew me away in its final version ( I wasn’t overly smitten with the ‘testing’ version ) and I say that as a person, who generally stays away from rose-scented products. In a way those oils are more than oils, to me they act as body perfumes as well. So with this, I am going to love you and leave you, hopefully a little intrigued until I am ready to share more details with you after my conversation with my dear friend Master Zen. Organic Beauty Week: my September natural product choices for the faceClinton vs Trump: who has got what it takes to become President? Thanks for this intesresting and useful blog post. 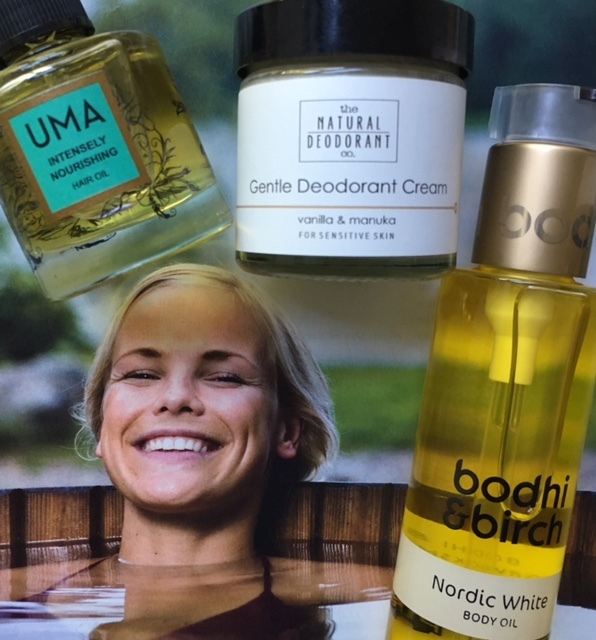 I’m liking the sound of the Uma Oils and the Bodhi & Birch oils. I’m thinking of signing up to the Beauty Heroes box but the unknown additional taxes are stopping me from doing so. I was wondering if you’d mind me asking you how much in additional taxes do you usually have to pay?